Foot & Ankle Care - Concord, Meredith. The doctors and staff at Affiliates in Podiatry are dedicated to providing the finest comprehensive foot and ankle care to you and your entire family. We will provide quality individualized care to our patients using up-to-date, proven technologies in a modern podiatric facility with your comfort and satisfaction being our top priority. 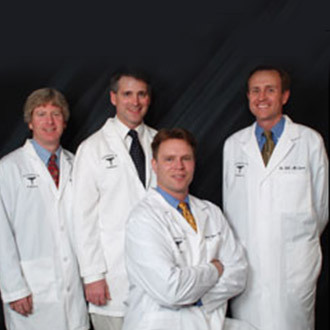 Our podiatrists provide complete foot and ankle care. We specialize in: bunions, hammer toes, heel pain, orthotics, diabetic foot care, wound care, ingrown toenails, neuroma (nerve swelling and pain), foot and ankle sprains, stress fractures, sports injuries, children's and adolescent foot problems, bone spurs, tendonitis, foot pain, foot fungus, warts and other skin problems of the foot and ankle. Please visit all the pages of our website to learn more about what we do. You will find it educational and helpful to understand you or your family member's foot and ankle problem. The doctors at Affiliates in Podiatry are all Diplomates of or board certified with the American Board of Podiatric Surgery. They all have multi-year residency training in the latest foot and ankle medical and surgical techniques.